The bathroom I’m styling is located directly off the bedroom I’m designing for the 2016 Bucks County Designer House. Hello again. 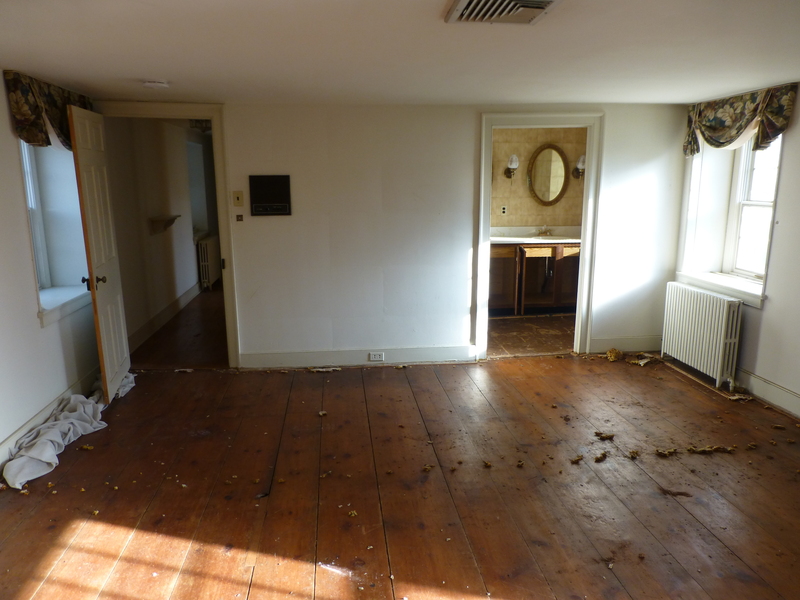 Welcome back to Kristine Robinson’s Interiors, and so much more… Today I want to share with you the BEFORE images of the bathroom I’ll be designing for the 2016 Bucks County Designer House. 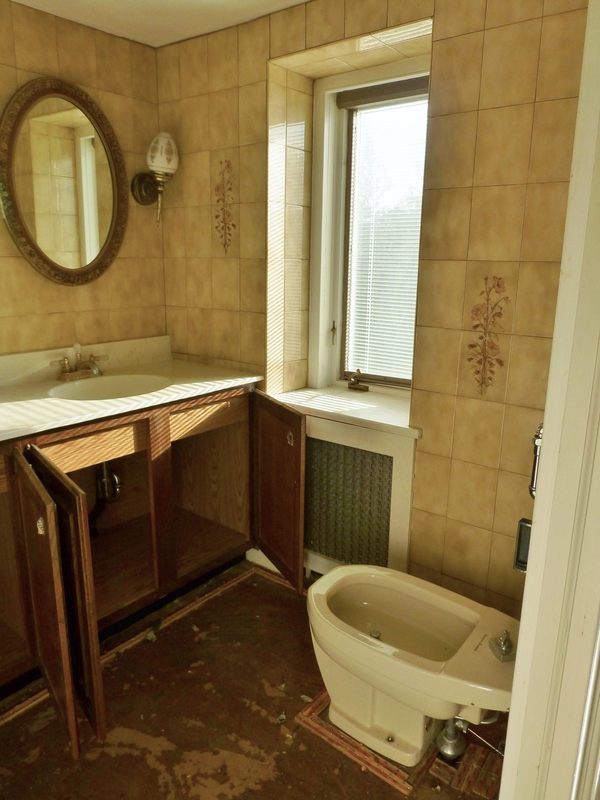 Upon entering the bathroom, visitors are confronted with this wide, double-vanity. 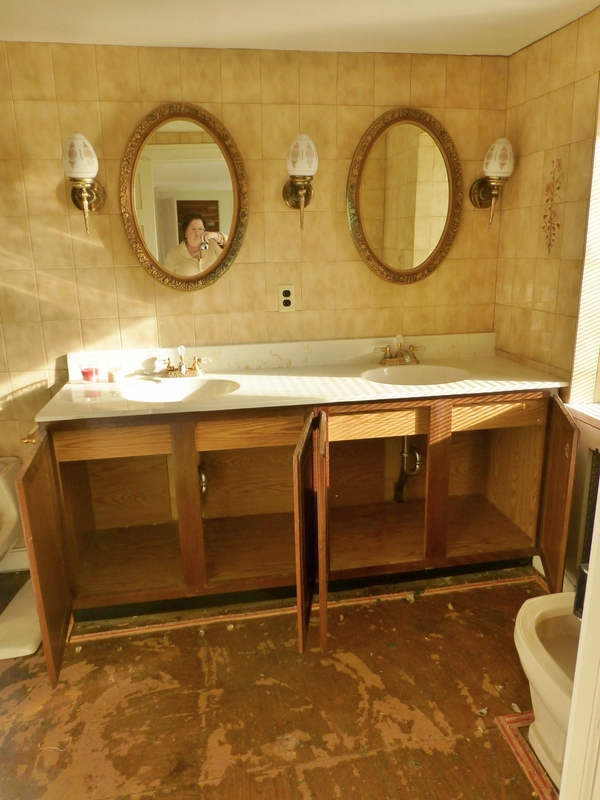 The homeowner is still trying to decide whether to have this vanity base painted, add new countertops, and new sinks, plus fittings , or just get a new vanity. The vanity mirrors might also remain, albeit with a new finish. Thankfully, all these 1980’s looking wall tiles will be removed and new floors will be installed along with a beautiful new tile in the shower area. When you look to the right, you’ll notice an old bidet, which will be removed from the space (thank goodness!). Nearby is a narrow long window. I have special plans for this window treatment! And looking off to the left, you’ll notice a bathtub shower combo, along with the toilet. 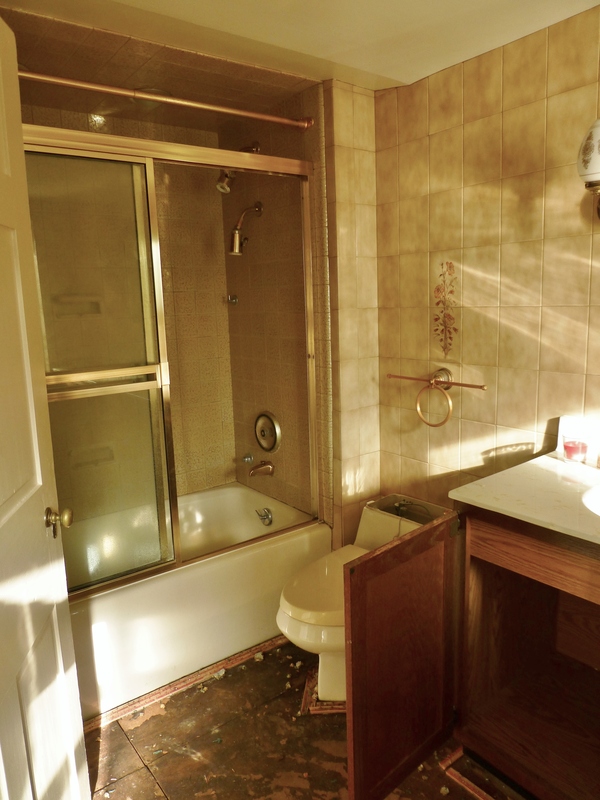 The homeowner is planning to completely renovate this bathroom, and a wonderful designer, Julia Thomas from The Tile Gallerie is providing the tile and bathroom renovation, which will be mostly white. I’ll simply be styling the space, supplying all the decorative accessories, soft goods, and artwork throughout….basically the most fun part!! I’ll also be installing a gorgeous custom window treatment, which I’m super excited about. There will definitely be a whole separate post on that topic! Anyway, I hope you enjoyed this sneak peek at the BEFORE images of the bathroom at the 2016 Bucks County Designer House & Gardens. I’m really looking forward to sharing my progress on the renovations, so stay tuned for so much more! This entry was posted in Bathroom, Before After, Bucks County, Designer House, Showhouse and tagged 70's Bathroom, Before, Bucks County Designer House, Decorating, Design, Interior Decorating, Kristine Robinson, Renovation, Robinson interiors, Sink Vanity, Tile, Window Treatment. Bookmark the permalink.